I’m a HUGE wine fanatic!!! 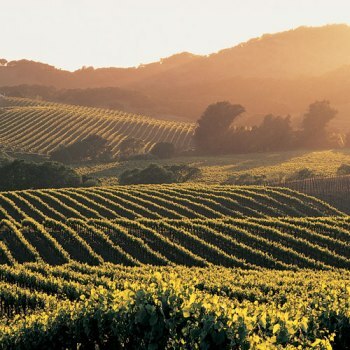 I love learning about wine, tasting it…guzzling it. LOL So the idea of having wine bottles at the wedding is a MUST! LOVE the labels on each wine bottle (with a little bow tie on the logo of course). The bottle with the signatures is for the years to come. You’re supposed to have guests sign 4-5 bottles of wine to open on your first anniversary, 5th, 10th, etc. I’m sure not all wine’s age well~ but this idea is super cute. Can’t wait to try it! Small Personal Touches that I love..
GORGEOUS. Can’t have a wedding without it ❤ The combination of it with the baby’s breath also makes my heart melt. So romantic, vintage, and rustic. Such cute guest cards right?? Adding a Korean Ceremony (Paebaek) is a HUGE requirement for me. Whether it’s before the wedding rehearsal, the cocktail hour or during the reception~ I can’t WAIT to have it! This is a picture of the female family members who wear a traditional Hanbok to the wedding. Ohhh the ceremony. Something that I always think of last~ but have very strong feelings about. In Korea, engagement parties are a big deal. It’s where you exchange rings, watches and then publicly get “proposed” to in an awkward 1 min ceremony while everyone watches. The girls always wear pink and there are ice sculptures and HUGE, standing/ flower bouquets. These bathroom organization ideas will help you keep your towels, toilet paper, and toiletries in order. Make the most of those small spaces with these easy tips! Find lost objects with a vacuum and pantyhose. Coffee Can Lid as Paint Splatter Shield – Paint like a pro. To make a splatter shield for when you’re painting a high surface, cut a slit in the center of a lid and pull the paintbrush through. A tried and true method. Cut scrap paper to the size of the frame and mark the nail location on the paper. Using painter’s tape, move the paper templates around the wall until satisfied. Then hammer the nail through the marks. Remove the paper template and hang! Easiest way EVER to clean baked on greasy burners. Hmmm . . . Did you know that if you put a wooden spoon over a pot of boiling water, it won’t boil over? Gotta try this….The next time you have green onions, don’t throw away the white ends. Simply submerge them in a glass of water and place them in a sunny window. Your onions will begin to grow almost immediately and can be harvested almost indefinitely. If you’d like some good ideas for your home, please follow my board! Yes yes…I still have MORE pinterest boards to share. LOL This one is for the future~ Since I don’t own a house and I’m a TERRIBLE decorator…I like to put these pictures together so that I can have some references for the future. As it stands now, my place is pretty fugs. I have no matching furniture and no wall art…no wall ANYTHING. It’s really sad. I love to look through this collection of items and imagine what kind of colors scheme I’d be using and what sort of items I’ll be collection. For now, I can say that I hate clutter, I hate decorative pieces…and I love WHITE! This board is one that I should really spend the most time on (since I am an event coordinator on the side). But…there are quite a bit of photos to dig through and it’s been pretty crazy trying to sort them out into different categories (since I really should put them on different boards altogether). Best Trip EVERRRRR. I’ll write about the fashion another time (prob tonight). 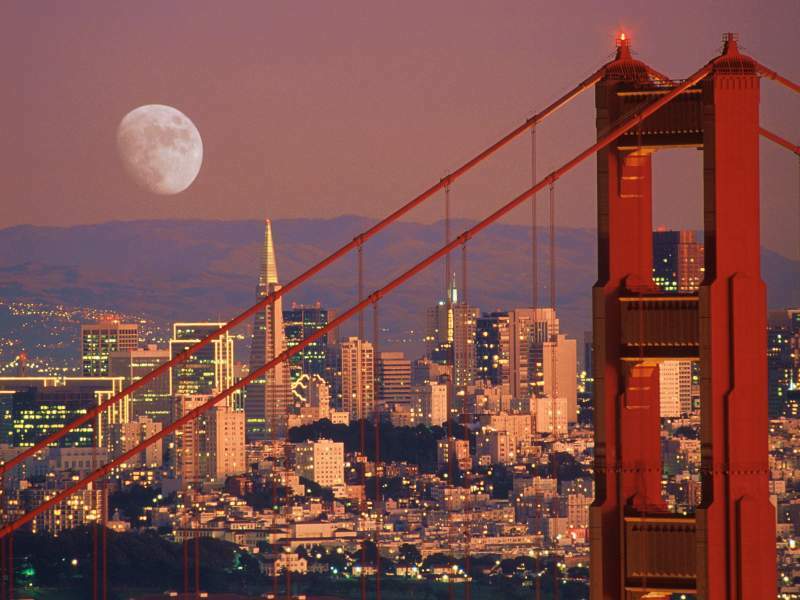 President’s Day Weekend: San Francisco and NAPA! xoxoxo Do you guys have fun weekend plans? ahhh…this is one of my favorite boards. Not because I’m a super DIY-er, this board makes me FEEL like I can. Often, I fantacize about the things I’d LIKE to make or that I THINK I can make… You will see from the pictures below that I’m NOT this crafty…but a girl can always wish right? If only I had 48 hours in a day, I only had to work 8 and the sun was up for 35 of it… *sigh * …I could actually make some of these things. *WOW…I’m going to be SUPER mom someday! *who doesn’t want their wedding to be 100% original? Wow…and the list of pinboards go on! yikes…I guess the world now knows my fascination with Pinterest! LOL We’re onto Board VIII! This is a board that has a collection of many different things. It’s a smorgasbord of things that touch my heart, make me smile, and lift me up… So I apologize if you feel like I’m having a personality disorder or nothing makes sense. (perhaps it’s an insight into my life crazy, eh?) I’ve broken the genres of photos into 4 sections to help =P. * I love the action and the lighting in most of these pictures. Or what’s about to come. Can you tell that I wish I were a graceful ballerina in another lifetime? *I’m obsessed with water colors and oil paintings. I think they’re GORGEOUS and really highlight a talent that I wish I had. *I want a pet!! My apartment doesn’t allow any…but man oh man…I want a puppy!! February 14th. The day of LOVE. Need I say more? For the past 3 Vdays, Markel has always made it about ME. This year…it’s going to be all about HIM! xoxo For Christmas, he made me this BOMB wine rack (no nails!) and stained it himself. It was the mega present of all presents! Therefore, it was only fair that I return the favor and buy him an Xmas gift to blow his mind: a night with the Lakers with catering from the concession stands. What are you guys up to today? Staying in? Going out? 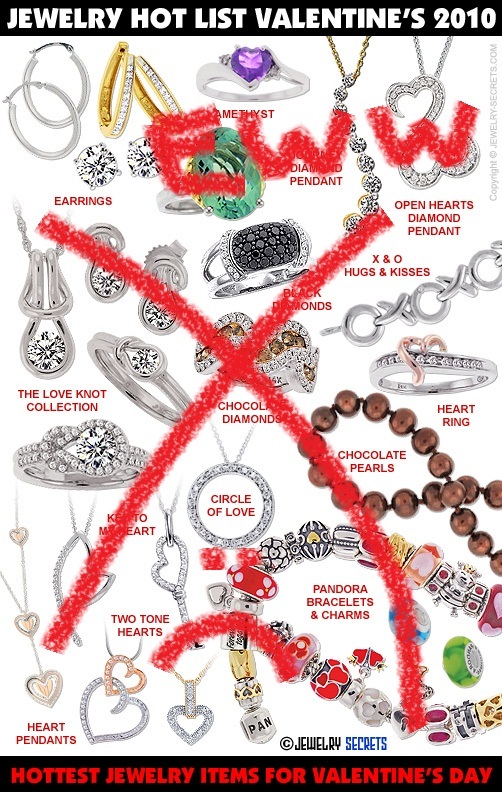 Btw boys…PLEASE PLEASE PLEASE don’t buy your girlfriend/mom/family/wife generic jewelry. It’s tacky and really ugly. MAYBE diamond earrings or something simple…but check out Etsy! Etsy.com has a TON of hand crafted jewelry, candles, housewares, clothes, ANYTHING! It’ll be really special and one of a kind. Pinterest series, Part V. This is one of my favorite boards. I love to leaf through and see the adorable expressions, poses, and costumes. Another favorite type of picture I try to collect are the family portraits and ways that couples announce a baby on the way. I really want 4 kids (yea I said it!) someday and I can’t wait to use this pinboard of ideas! Many of my friends don’t get why there’s such a huge surge/obsession with Pinterest (esp my bf). But it’s all the access to each creative ideas! Warning: This will be a long post because I couldn’t pair down my favorite pics! Part IV of my Pinterest Series~ This board is called: Decorate My Life. It’s where I post accessories and things that I’d love to add to my wardrobe. My obsessions and my pattern for certain trends is incredibly apparent =P Some may think it’s whack or outdated…but style is style right? Doesn’t the pink/warm shade of morganite go PERFECTLY with this rose gold?? How Tragic. These two words plus an expression of pure shock are the only things that I can muster up with this news. 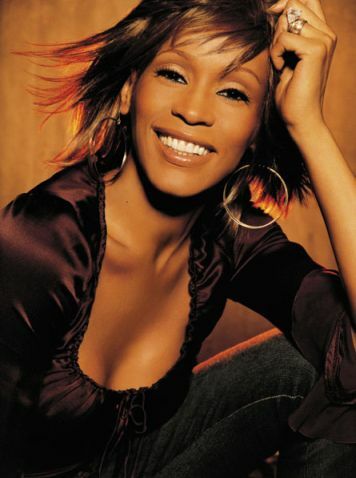 I grew up loving her and wishing I could reach those top notes like her. When the Boyd Guard Came up~ I instantly fell in love with her character and romance with Kevin Costner. After that…Waiting to Exhale became my new guilty pleasure when I was home on the weekends. 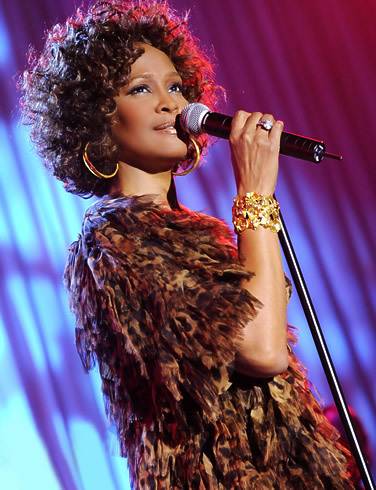 Whitney Houston is survived by Bobbi Kristina, her 18-year-old daughter with ex-husband Bobby Brown to whom she was married from 1992 to 2007. 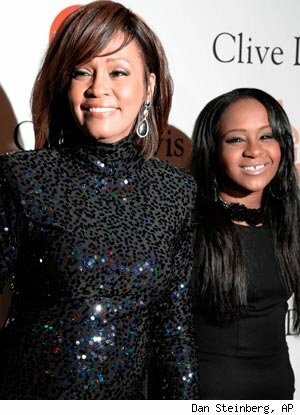 Her body was found at the Beverly Hilton, where the singer had been staying. Houston had been in and out of rehab in 2005, 2006 and 2011. Last night at the Grammy’s, everyone honored her life and her incredible career. I swear I was born in the South in another life. I very strongly believe in “go big or go home” and “the higher the hair, the closer to God”. The look that’s SO trendy right now and super gorgeous~ but not one I can pull off =T yikes. And Last but not least… Wedding Hair! For the many who know me (or don’t know me)…I’m OBSESSED with Pinterest. I go on there when I’m bored, tired, don’t feel like working… you get the idea. In any case,t scare you away, but I’m about to share my boards with you guys! First my first share…here’s my Makeup/Nail Polish Board. This picture makes me happy. It’s whimsical and makes me feel girlie and sweet. The Glam/Retro look. Reminds me of two really great times in my life~ First, it was meeting my super adorable ex-roommate April Patron. She brought an entire new genre of music, style, and culture into my life. Second, this reminds me of a glamor retro shoot that I did in a Brentwood, CA park. I was that random Asian girl trying to be from the 1950s. LOL Someday I’ll show the world the photos~ but for now…this girl underneath looks WAY better with the cat-eye and red lip. Smokey Eye = Esther Chang. Hands down~ I’m OBSESSED with this makeup trip and use it for just about everything…except for at church, bedtime, and well…in the shower. But outside of those instances~ I’m always sporting a version of it. nuff said. Someday when I’m brave enough…I’ll be sporting this look below. I’m OBSESSED with pink. As much as I hate to admit it, I’m obsessed with everything girlie. If you look at my 20+ bottles of nail polish~ about 90% of them are pink or some variation of pink. xo The brighter the better! And Lastly…I’m a huge makeup FIEND. Although I wear the same colors everyday~ I love to learn new tricks and brands that are circulating. When I go out, I swear I look like a completely different person because I LOVE to shade/highlight my face. WOW…when I saw this…I died. If only some day I could have this giant chest of accessories~ *sigh * Simply Gorgeous right? Someday I’d love to have a closet as sweet as this! HOW GORGEOUS are these gowns?? Valentino’s creations are the epitome of “haute couture” and each piece is perfectly hand crafted and exquisite! I love the soft, whimsical designs and fabric that are used with each gown/ensemble. I swear if I were a celebrity, I’d be saying “Valentino” at every red carpet event. Marie Antoinette would have each and every single one of the dresses presented in Valentino Haute Couture Fall Winter 2011/2012 collection. All of the dresses are truly pieces of art. Tons of appliqués, crystals, and embellishments can be seen through out the collection. Each piece took Italian seamstresses up to 1,200 hours of painstaking work to complete. We are head over heels for the dress above. Magnificent, don’t you think? Most of us will not be wearing a Valentino Haute Couture gown to our garden party wedding, but we can take inspiration from these avant-garde designs and somehow incorporate little pieces into your wedding look. See the entire collection in the full gallery and don’t be shy do tell us what you think.